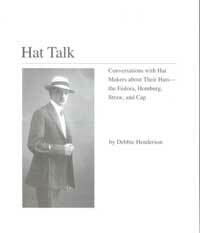 Subtitled "Conversations with Hat Makers about their hats -- the Fedora, Homburg, Straw and Cap", the author delves into the history of hats through the very personal visions of those who lived hats all their lives. This focus enables her to examine how of some of the best known hat companies founded and maintained their activities, their fashion leadership and their national and international commercial roles. The history construction and manufacture of the handmade felt hat. Describing the process and tools of the trade, with illustrations. 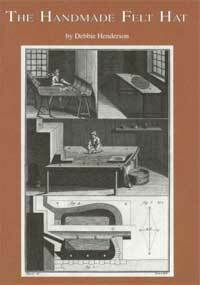 A composite and compact study of the history, wearing and manufacture of top hats, with many illustrations of special interest to hat makers. The author also sets this accessory in its social and economic context, describing the changes in materials and designs that have distinguished this style from the 18th century to the present. By focusing on the historical use of the hat by real cowboys in juxtaposition with the hats of movie cowboys and fashionable gentlemen, the exhibition shows how a costume accessory indicates status, vocation, and myth, and how these change over time. Through the use of real hats, dressed mannequins, hat-making implements and samples, photographs of the hat-making process, and portraits of men wearing hats, the exhibition explores all levels of hat-making, hat-wearing and hat iconography. The exhibit focuses on men's costume and includes a signlficant section on the manufacture of the object. It also details everyday working clothes. The public fascination with the cowboys of legend serves to give the audience a greater appreciation of the role of costume as social indicator. 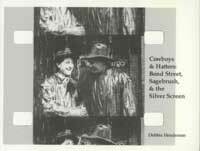 All photos and content © 2006 Debbie Henderson, Cowboys and Hatters.No photos or content may be reproduced without express written permission from the author.